Not compatible with sub-ohm devices. 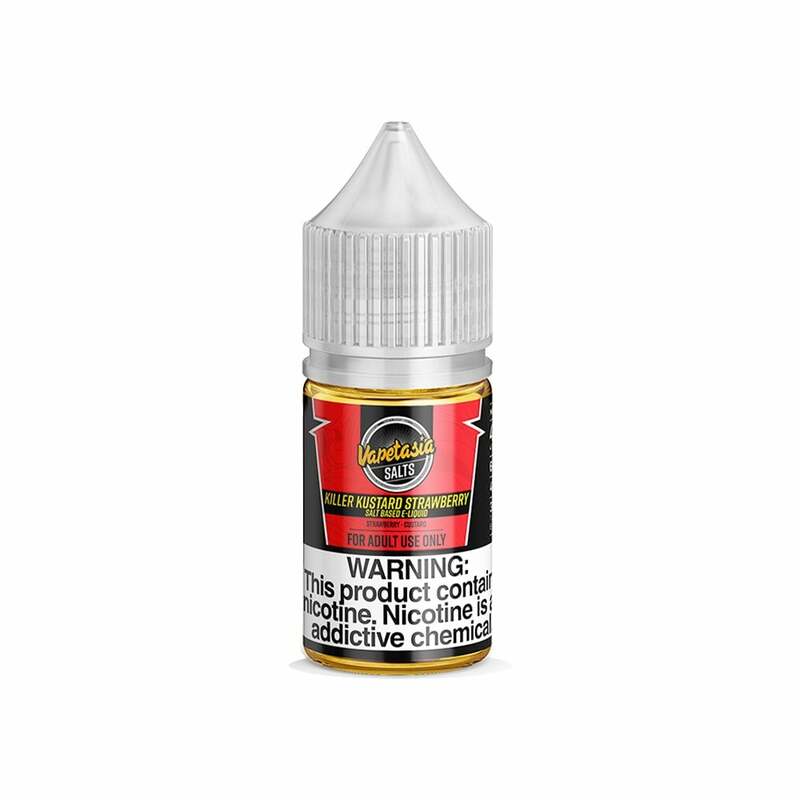 Killer Kustard Strawberry Nic Salt blends the signature vanilla kustard flavor with ripe strawberries to create a sweet nic salt that will have you reaching for more as soon as you taste it. Vapetasia's nic salt formulation adds an extra level of smooth satisfaction to every hit you take. Vapetasia nic salts are available in 48mg (4.8% nicotine) and 24mg (2.4% nicotine) and are compatible with your favorite pod mod.